The property has an Asian ambience and consists of the main house and individual apartments, each being suitable for 1 or 2 persons, or booked together for a maximum of 10 persons. 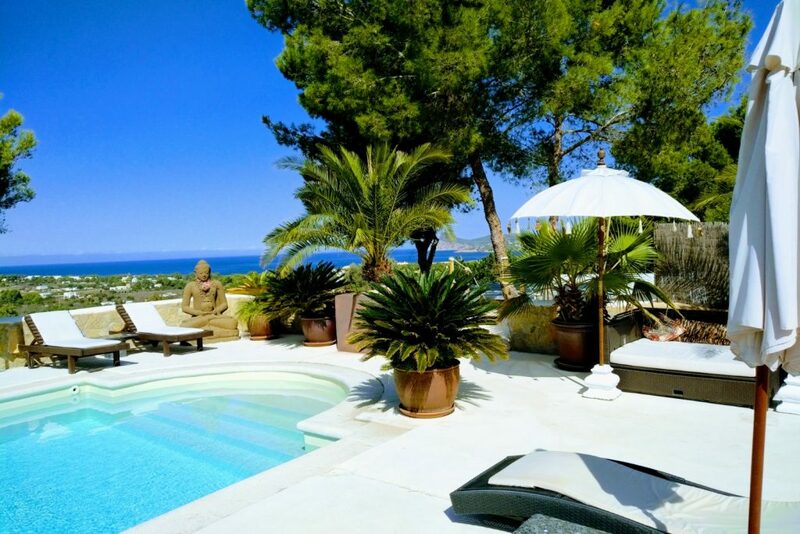 The villa is situated on a hill in a quiet area with magnificent sea views. The pool and the property is only for villa residents and is a peaceful area that invites guests to relax and shake off the toils of a hectic life. 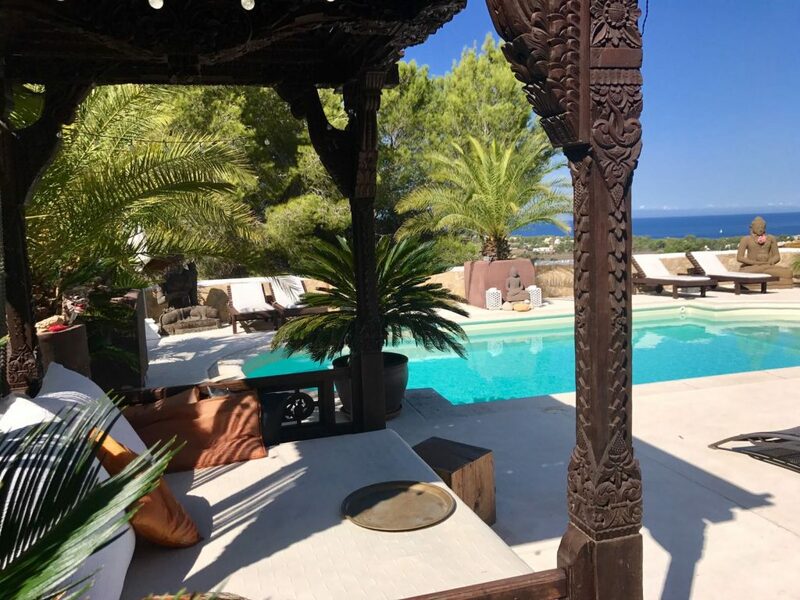 Over the last 2 years the entire property has been completely renovated and now offers a personal charm for connoisseurs who desire an individual location. The two small Studios Nos. 1 & 2 have separate entrances and each offer a kitchenette (with refrigerator, electric kettle, crockery, etc. ), a bathroom with shower and their own breakfast terrace. The additional accommodations offer separate bedrooms, bathrooms with showers, living areas with integrated kitchens and terraces. Each individual accommodation has its own entrance. Parking is also available. The best sunset beaches such as Cala Comta, Cala Bassa, Cala Tarida with excellent restaurants, beach clubs, etc. are all within a ca. 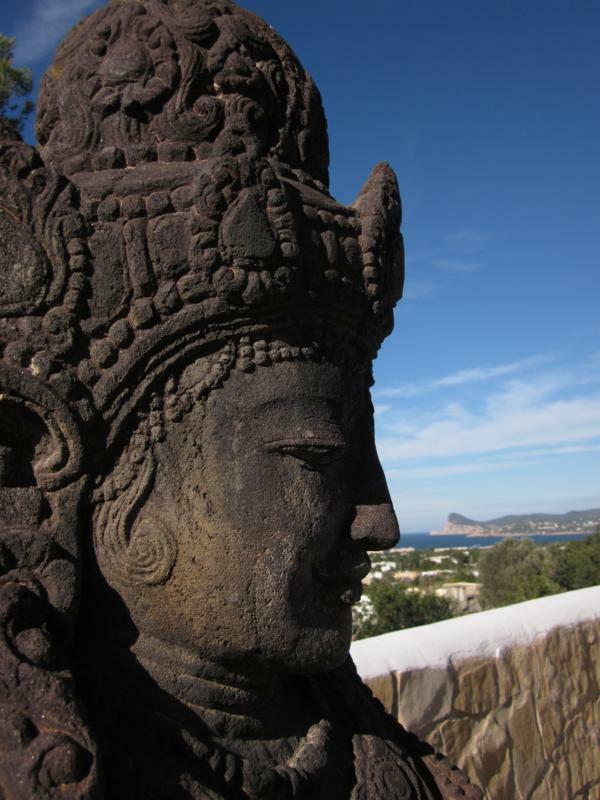 5-minute drive from Buddha Can. 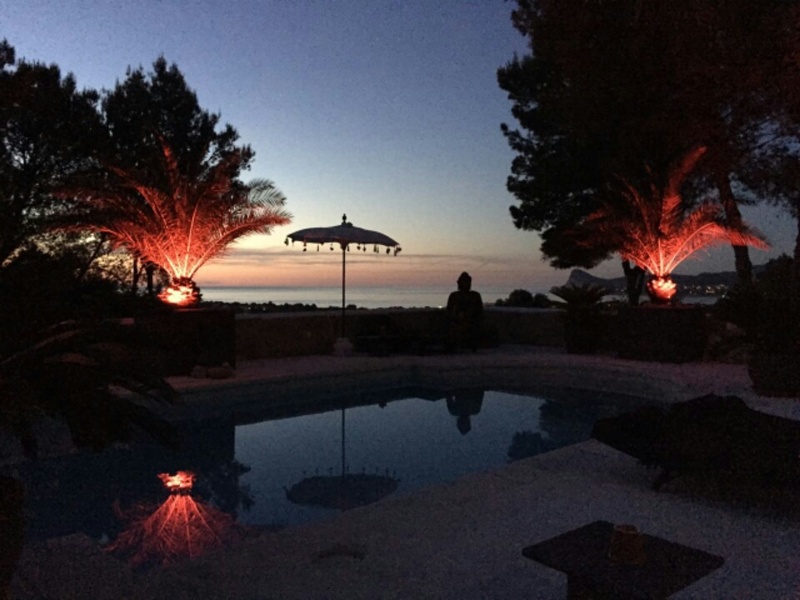 The Sunset Ashram with its special flair situated directly by the sea, Silla des Bosque with its fantastic refined cuisine, Sa Rima, Cala Bassa Beach Club, Cotton Club, Ses Eusfabius, Sa Socca, Chimichurry, Can Berivell… to name just a few are all not more than a 5-minute drive away. For any further enquiries and questions please contact us using our contact form, we will reply as soon as possible.